I am slowly recovering from my long weekend of feasting and am ready to kick-off some holiday-talk this week! Last year I had so much fun sharing DIY gift ideas, so I thought I would share a few new ideas this season too. 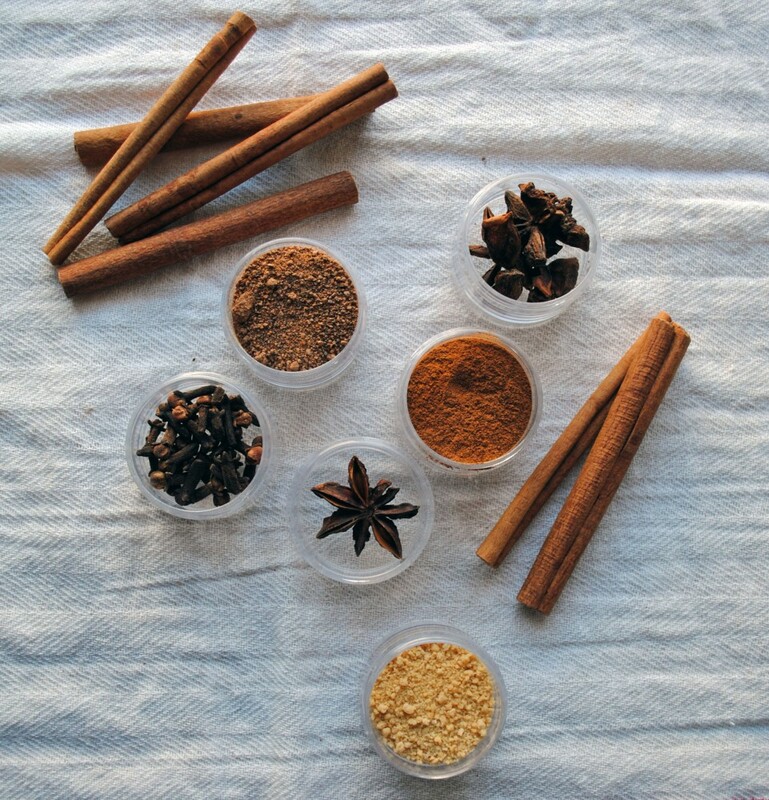 This mulling spice kit is a super simple idea that would be great for hostess or teachers gifts — and it’ll take you only about 5-minutes to put together. 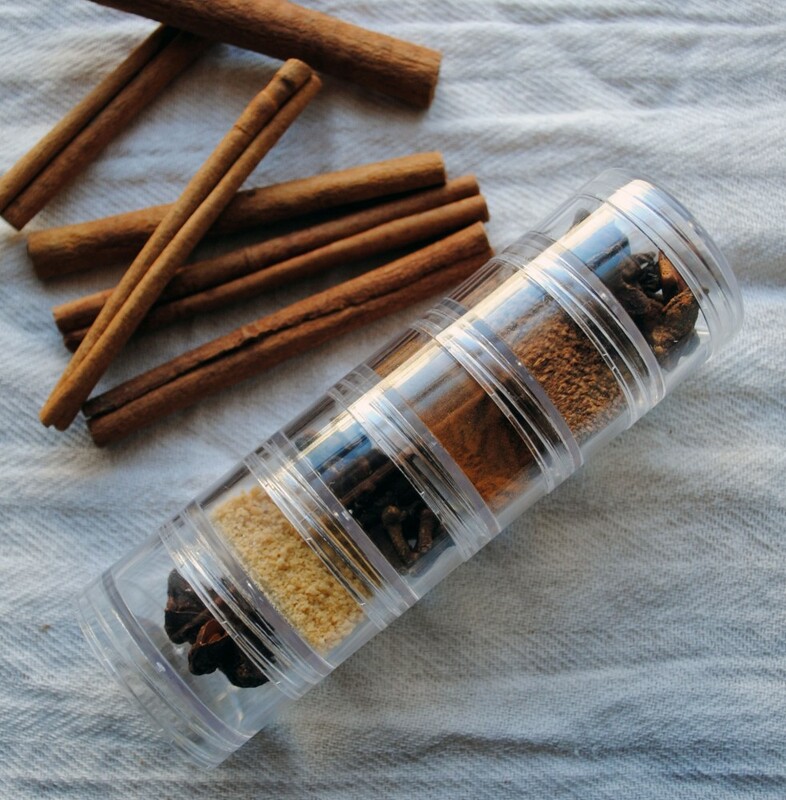 I purchased some stacking organizers from the Container Store and in each layer added in a different spice — cinnamon, nutmeg, cloves, anise, allspice, are all common mulling spices you could use here — pick the ones you like best! After all of the containers were filled, I stacked them back up and tied some whole cinnamon sticks to the container with a festive red ribbon. Consider pairing these with a bottle of red wine, some spice-bags, and a little handwritten note with your favorite mulled-wine recipe! Handmade Holiday Ideas. DIY Holidays: Rhinestone Ornaments. 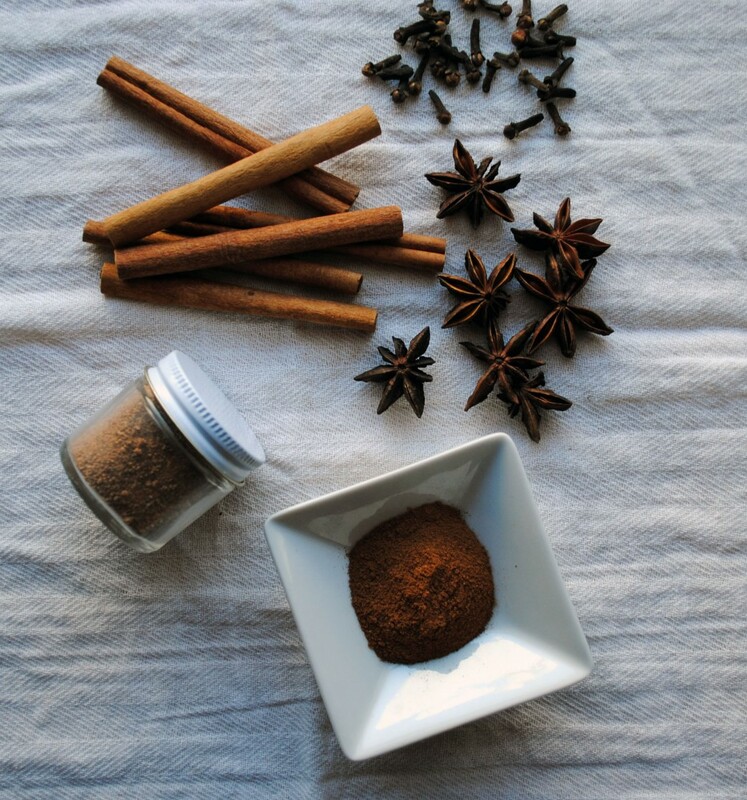 5 Responses to "DIY Holidays: Mulling Spice Kit." 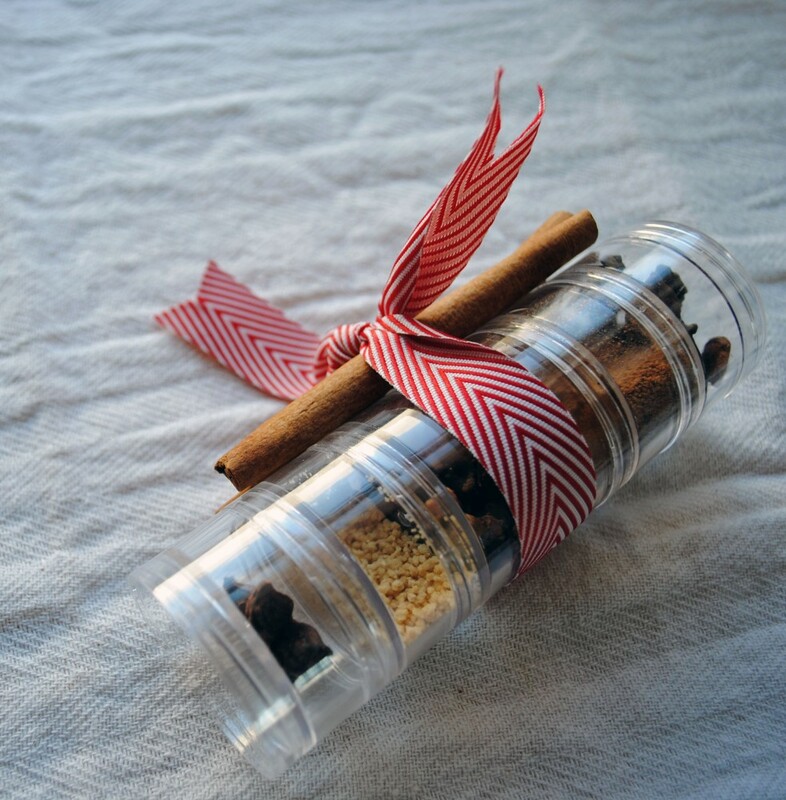 That’s a fab idea, and perfect for a hostess gift! What a great little DIY christmas gift!! super cute idea! i love the unique packaging. What a cleaver idea. Pairs perfectly with a bottle of red over Christmas.